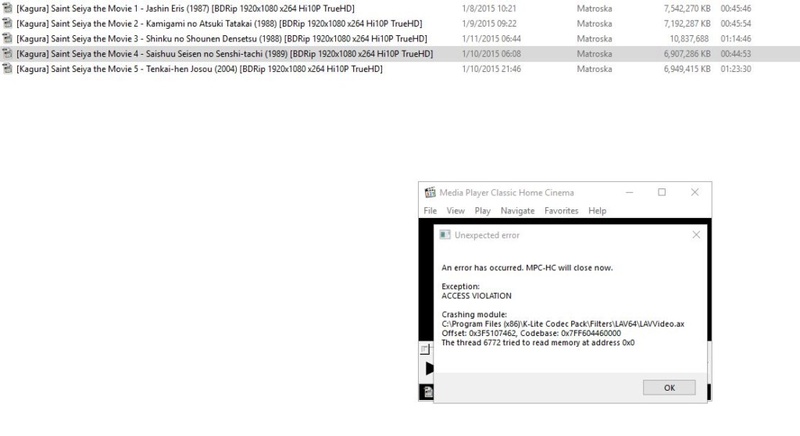 Hello, when I open some mkv files, it crashes sometimes at start or when I try to skip to some specifically time frame. I did the update, then when I encountered the error, uninstall and try a fresh new installation but the problem persists. I have a Nvidia GTX 960 with 399.24 drivrer and I use madVR and never had a problem before even with mkv 4K HDR movies. This is being investigated. Seem to be a bug in the new version of LAV Filters.